eBay is great place to buy and sell, however the one thing missing is a review section directly on the item listing page. Everyone likes to know what other people think of a product before they buy. If you’re selling popular items that are in the eBay catalog then reviews are automatically listed at the bottom of the item page, but this doesn’t help when you sell something that isn’t in the eBay catalog. 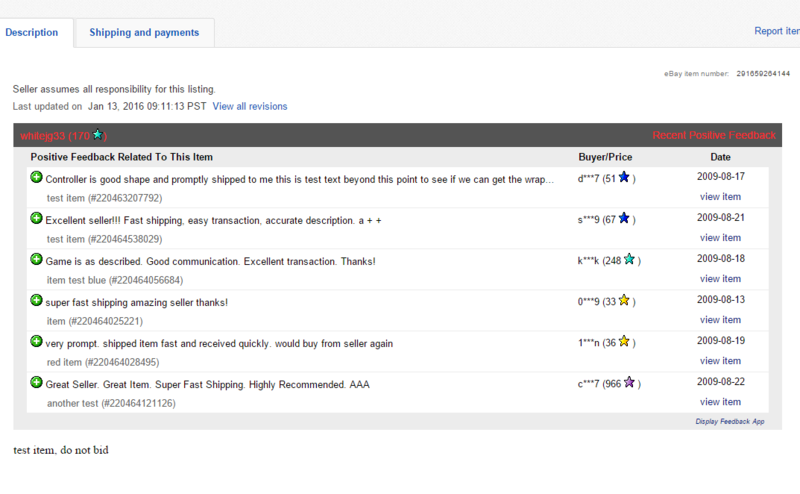 I recommend everyone check out our eBay seller application called “Display Feedback“. While it doesn’t add reviews to your items in the traditional sense, it does allow you to add your related seller feedback. You can tell the app to look for feedback from similar items that you sell based on the item title. You can also hide feedback that you don’t want to show. 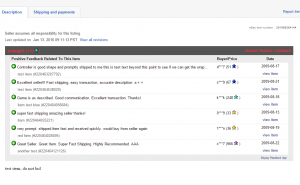 Using those two features you can build a pretty good reviews section for your item page. It’s a great way to show buyers what feedback you have been getting for the same or similar items. A great way of increasing buyer confidence and increasing your sales at the same time! – Mobile friendly with fluid width. – No longer flash based, now html friendly. – Show feedback related to the item. Great way to show reviews of the item they are looking at. – Hide feedback you don’t want to show. Sometimes even a positive review should be hidden. 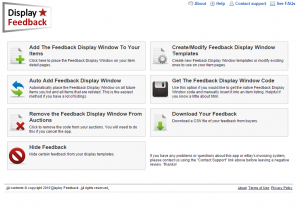 – Download your feedback in CSV format to your computer. – Display all of your recent positive feedback or only feedback related to the current item directly on your item detail pages. 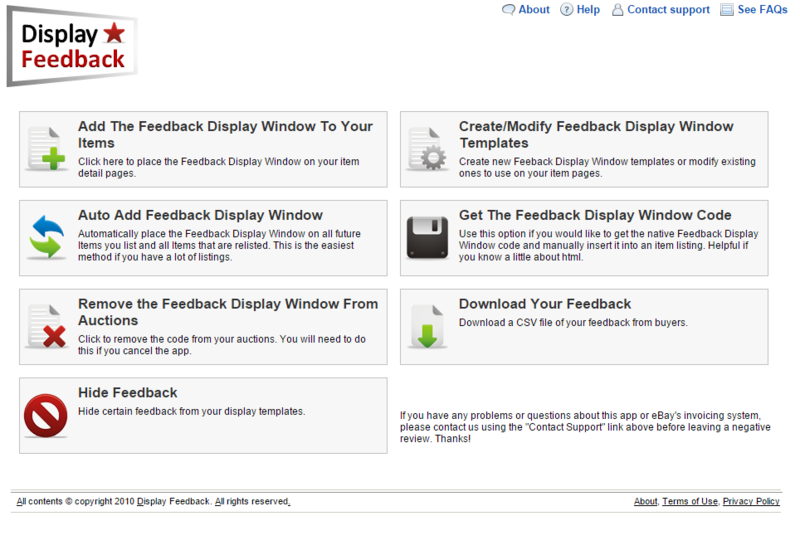 – Feedback Display Window is customizable with different colors, and listing all at once or one at a time.